You may have noticed I been on a discovery mission and have been adding to my growing list of natural skincare companies. Today I would like to tell you about Pringle & Fairweather. The range is perfectly formed, with products for bathing, body care, skin care, hand care, shaving, and soaps. I was instantly attracted to the packaging and ordered the Fizzy Foot Soak (£7.99 for 300g). When it arrived I was over the moon, I adore the packaging and it would make a lovely gift. I treated myself to a pedicure on my Birthday and after that experience I decided my feet needed some regular TLC. I have also been suffering from swollen feet in the heat wave so my tooties are feeling tender. The little wooden scoop is a lovely touch and you can add as little or as much as you like to warm water. It initially fizzes and then you get a beautiful aroma of rosemary and lavender. My other half was a little puzzled by the dried ingredients that float on the water surface. You need a towel nearby to brush off your feet afterwards. There is cocoa butter in the mix and that leaves your skin feeling silky smooth. For extra moisture after I am done soaking, I have been applying Bathing Beauty Sock balm. 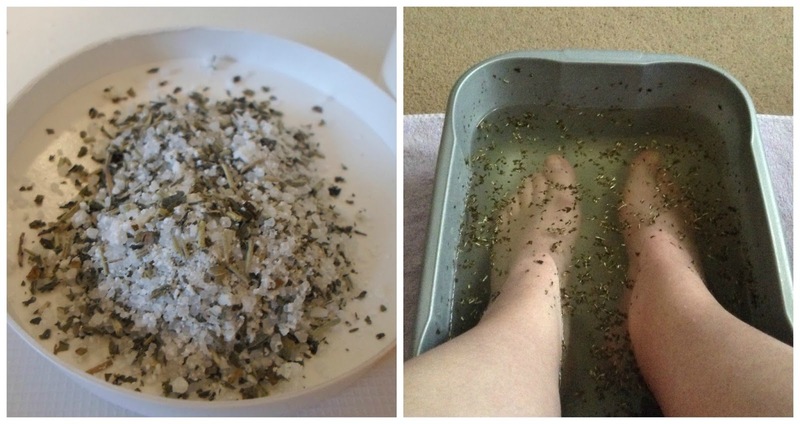 I love the whole experience and I definitely feel as if my feet are the key to my relaxing needs. As for Pringle & Fairweather, I would certainly like to try more products and I highly recommend you explore their website. It's the floating dried bits that most appeal to this Dandy... just like a proper woodland stream, but better for one's feet I imagine. Oh my, I LOVE the packaging. It's adorable and would look fab on the bathroom counter. The product itself looks so luxurious! This looks amazing! I love the packaging it would make a great gift for someone or just maybe a gift to myself!